Guinness - worlds best selling stout. They have today announced full year results to 30th June 2013. Sales and profits have continued to see strong growth, particularly in North America where profits increased 9% and emerging markets where profits increased by 18%. The board are recommending an increase of 9% in the final dividend to 29.3p making a total of 47.4p for the full year. Not the highest yielder in my portfolio but possibly one of the most reliable over the long term. Dividends have almost doubled over the past 10 years - the long term CAGR is 6.4% per year. 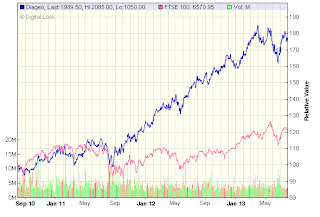 The share price has seen strong gains in the past year or so - up from around £17 to currently just under £20. “The effectiveness of our marketing campaigns remains a competitive advantage for us and this year we have seen these campaigns extend the leadership of our brands in many markets during the year. This has been a key driver of our performance in scotch, our biggest and most profitable category, especially for Johnnie Walker which is now a 20 million case brand. Innovation is driving growth in every region, with our biggest launches in US spirits where we continue to lead the innovation agenda in the industry. Elsewhere, the investments we have made to enhance our routes to market in Africa, Latin America and Eastern Europe have driven strong growth“. Sales growth and acquisitions in emerging market countries now contibute 42% of sales and the continued investment in markets such as Asia, Africa and S. America means revenues are growing quickly and the company expects these markets to contribute over 50% of sales by 2015. This is a fairly recent addition to my shares portfolio. I like the strong brands and of course, the argument in favour of Diageo is that alcohol is a recession-proof business (profits and dividends increased during the last one), and which also does well in the good times. One to tuck away for the long term I suspect. As ever, please do your own research. Here’s a link to my first post in March following 2012 full year results. Along with several other stalwarts in my portfolio this month, Reckitt have today announced results for Q2 & half year to 30th June 2013 (link via Investegate). CEO, Rakesh Kapoor said the company was confident it would achieve full-year total revenue growth at the upper end of its 5.0% to 6.0% range after a strong first half. Half-year sales rose 5% to £5bn - up from £4.7bn last year. The focus on ‘power brands’ is paying off with strong returns from Mucinex, Sinus-Max, Detol and Durex. China has now become the largest Durex market worldwide. Half-year profits fell to £914m affected by some one-off costs relating to restructuring and regulatory disputes. The adjusted figure was £1.16bn which excludes the one-off sum of £225m set aside as a contingency measure for future liability. The US Food and Drug Administration (FDA) halted Reckitt’s patent on the anti-addiction product Suboxone tablets, a move that will herald the entry of cheaper, generic rivals to the Suboxone brand and harm sales over the medium to long term. Brokers consensus are for expected earnings per share (EPS) to nudge 1% lower in 2013 to 262p, before the effect of falling Suboxone revenues drive EPS 4% lower to 252p. Commenting on this the CEO said "On Suboxone, we have always been aware of the challenges of operating in a post generic environment. However, we continue to see strong patient and doctor preference for film over tablets and we are very pleased that the film has maintained its volume market share of 69%". Rakesh Kapoor is making progress with plans to refocus more towards the faster growing emerging markets like Brazil and India and has set a target of these EMs to become 50% of the core business by 2015. As we all keep hearing, past performance is no guide to the future however its worth pointing out that RB has been one of the best-performing companies in the FTSE 100 index over the past decade having seen its sales double and market cap increase fourfold. I concluded the previous report with “This is, in my opinion, a quality operation and one of my better investment decisions. I can imagine holding RB for quite a while - for me it would just about represent the epitome of a long term buy & hold share” - I have no reason to change this sentiment. Further to my write up in March, BSY have today announced full year results for the year to 30th June 2013. The figures are very impressive - revenues up 7%, profits up 9% and earnings up 18%. As the company has grown, so have profits and dividends for shareholders. 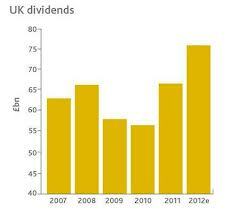 In 2004 they paid a dividend of 6p per share, this year it had risen to 30p. That's an impressive CAGR of 19.6% per year. "In our television business, there has been an excellent response from customers to our new services. We've seen an explosion in on-demand and mobile viewing as more people connect their Sky boxes to broadband and watch TV on laptops and mobile devices with Sky Go. Sky Go Extra, our new subscription service, has already attracted more than 150,000 customers in just five months“. together with a 170% growth in internet-connected Sky+ HD boxes to 2.7 million. Sky is now installed in over 11m homes in the UK and Ireland offering a comprehensive multi-channel choice of movies, news, entertainment, arts and sport. More and more consumers are choosing to get their phone, TV and broadband services in one package - despite the recent challenge from BT, Sky is still an obvious choice for many. More than 2.7m of these customers have now connected their Sky+ HD boxes to broadband. “Overall, we expect accelerating the take-up and usage of new services to have an impact of between £60 million and £70 million on operating profit in 2013/14. The majority of the investment will be in hardware and largely volume-driven. We expect the aggregate effect of investment and higher revenue to be broadly neutral in 2014/15 and to increase our profits in 2015/16 and thereafter”. Free cash flow has increased to over £1bn this year however net debt levels have also increased from £876m to £1.18bn as a result of share buy backs and rising dividends - something to keep a close eye on. As is often the case on results day, despite record figures, the share price is down just under 2% at 833p in early trading. On the back of recent results BSY is increasingly becoming a long term hold in my ISA. As ever, please DYOR. In the late 19th century the businesses that would later become Unilever were among the most philanthropic of their time. They set up projects to improve the lot of their workers and created products with a positive social impact, making hygiene and personal care commonplace and improving nutrition through adding vitamins to foods that were already daily staples. 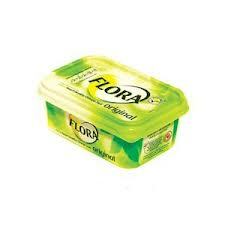 Unilever's founding companies produced products made of oils and fats, principally soap and margarine. At the beginning of the 20th century their expansion nearly outstripped the supply of raw materials. 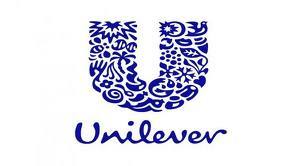 Unilever is today one of the world's leading suppliers of fast-moving consumer goods. 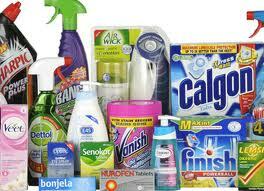 Here are some well known brands from their three global divisions - foods, home care and personal care. They have today announced half year results to 30th June 2013 (link via Investegate). Revenues are up 5% and although sales in emerging markets are slowing, they are still up over 10% for the first half year. "This set of results clearly demonstrates that the transformation of Unilever to a sustainable growth company is fully on track…Innovation remains the key driver of growth with examples such as compressed deodorants, Vaseline Spray & Go and Magnum 5 kisses. And there is more to come: our innovation pipeline is robust which will be vital as we navigate the slowdown in many parts of the world.” CEO Paul Polman. The share price has seen a strong run in recent months - up around 300p or just over 12% since the start of 2013. Todays figures are slightly below analysts expectations and the sp is down around 2%. Unilever is one of my permanent fixtures and definitely a long term hold. As ever, if you are considering ULVR for your portfolio, please DYOR. In early March I posted the 2012 full year results for LWDB (here’s a link). They have today announced half-year results to 30th June 2013. NAV total return for the six months was 12.7%, compared to a total return of 8.5% for the FTSE Actuaries All-Share Index. Net revenue per share was 8.84p, an increase of 7.4% over the corresponding period last year, as a result of a 17.2% increase in the investment trust and a 6.1% decrease in independent fiduciary services. Given this increase in revenues, I was a little disappointed they are proposing to hold the interim dividend at 4.5p. Having said that, this seems to be a pattern in recent years and the final dividend is used to adjust the total increase for the whole year. I have a total of 15p pencilled in for 2013 which would put it on a forward yield of 3.0%. The share price has seen a strong rise since the start of the year - up over 17% to around 500p currently. Ongoing charges, at 0.45%, continue to be very competitive. More on this following the full year results. 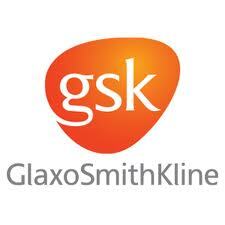 GlaxoSmithKline emerged in the year 2000 from a merger between Glaxo Wellcome and SmithKline Beecham. Its three primary areas of business are pharma, vaccines and consumer healthcare. Major brands include Aquafresh toothpaste, Horlicks, Lucozade, Nicorette/NiQuitin CQ, Polygrip, Ribena and Sensodyne toothpaste. The share price has seen a good run over the past 6 months rising just over 25% from 1335p to 1675p. In addition there have been two quarterly dividends totalling 40p…and they say elephants don’t gallop. They have today issued Q2 & half year results to 30th June. Over the 6m period, turnover is flat at £13bn. Core profits were down 5% at £3.8bn and core eps fairly flat at 53.2p. The company have previously announced plans to divest the nutritional drinks brands, Lucozade and Ribena, and say they remain on track and expect to reach an agreement by the end of the year. They are committed to using free cash flow to support increasing dividends, share repurchases or, where returns are more attractive, bolt-on acquisitions. GSK continue to target share repurchases of £1 - 2 billion in 2013. Hopefully the problems in China can be resolved fairly quickly. TMPL has been managed by Alastair Mundy since 2000. He takes a contrarian view on the timing of buy and sell decisions, buying the shares of companies when sentiment towards them is thought to be near its worst and selling them as fundamental profit improvement and/or re-evaluation of their long-term prospects takes place. The belief is that repeated investor behaviour in driving down the prices of ‘out of favour’ companies to below their fair value will offer investment opportunities. This will allow Temple Bar to purchase shares at significant discounts to their fair value and to sell them as they become more fully valued, principally as a result of predictable patterns in human psychology. 1. Markets overreact to news on the upside and the downside. The Manager aims to be sceptical of the crowd and aware of investor psychology, which often causes overvaluation of those stocks that are deemed to have good prospects and an undervaluation of those which are out of favour. 2. There are few companies which sustain below normal profits over the longer term. Weaker companies tend to leave an industry, thus improving the balance of supply and demand, are bid for or management is changed. Similarly, there are few companies which can sustain supernormal profits over the longer term. Such profits tend to be competed or regulated away. 3. Fundamental valuation is the key determinant of stock prices over the long term. In other words 'cheap' stocks will outperform 'expensive' stocks. 4. Diversification is an important control. 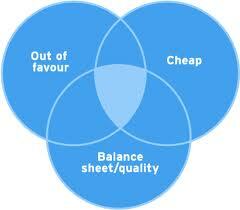 Particular companies or sectors can be out of favour for a considerable time. This approach has provided a very good return for shareholders - total return over the past year is 34% and annualised returns over the past 10 years is 13.2% p.a. They have today put out half year results to 30th June (link via Investegate). The total return on the net assets was 16.7%, compared with a total return for the FTSE All-Share Index of 8.5%. The proposed increase in the interim dividend is 3.1% to 15.1p. This will be the 30th year of consecutive dividend increase. One slightly surprising new acquisition is the purchase of gold via an ETF - I will be interested to see if this pays off as its not a move I would consider for my own portfolio. All in all, pretty happy with progress so far and happy to continue holding. Capita have published their dividend report for the second quarter 2013. Here's a link to my post relating to the Q1 report. Looking at the half year and stripping out special dividends and the HSBC distortion, underlying dividends have increased a respectable 7.7% since the start of 2013 - compared to 12.4% for the same period in 2012. It seems that equities yielding 4.1% on average continue to offer the best income compared to cash savings of 1.8%, gilts 2.4% (up from 1.8% Q1) and residential property 5.3% gross - approx. 3.8% after running costs. Looking ahead to the full year, it is expected the rate of growth will slow and the revised headline total is now £81.4bn - an increase of 1.1% on 2012. Aberforth Smaller Companies Trust has been a stalwart of my SIPP for several years. They have today issued results for the half year to 30th June (link via Investegate). Here’s my full year post from earlier this year. Net Asset total return advanced by 16.8% over the 6 months compared to 8.5% for the FTSE All Share index. The board are proposing a 5% increase in the interim dividend to 7.35p. Over the past 5 years the share price has increased by 12.7% p.a. 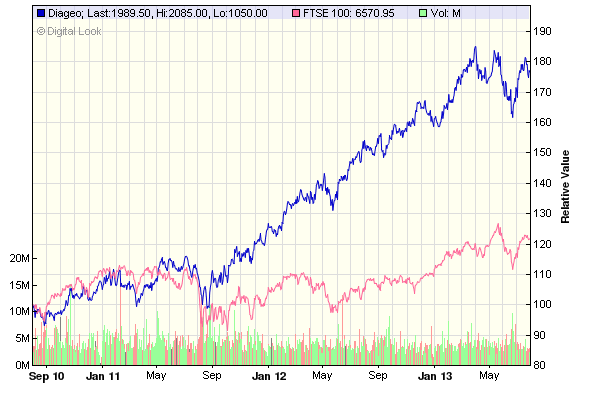 compared to the FTSE AS annual increase of 6.7%. At the half year portfolio review, Aberforth was the best performing investment trust with a return of 19%. Although it is the lowest holding for yield in my SIPP - around 2.6%, it more than compensates in capital appreciation and also offers diversity. Happy to continue holding long term. As ever, please DYOR - and stay cool in the heatwave! First of all, well done to Andy Murray winning his first Wimbledon title last Sunday - what a result! 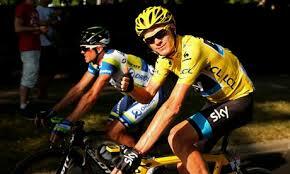 What’s more I read he donated his winnings of £1.6m to a cancer charity - top bloke. Just when you think it can’t get much better on the sporting front, we have an amazing start to the first Ashes test match at Nottingham. Its going to be an uncomfortable couple of months for this ‘buy and hold’ investor as I need to realise short term bridging finance in connection with a pending property purchase. Markets have risen strongly in recent months so it is tempting to take profits on some of the shares and/or investment trusts. The ideal scenario would be that by the time the funds are available from the sale of my existing property, prices will have fallen and I can re-purchase these investments at a lower price. However, you just sort of know that’s probably not going to happen! The other dilema is that most of these investments are generating income and my income needs will probably be even greater in the new property so selling investments and thereby reducing income can only be a very temporary solution. The obvious candidates to target will be the shares and investment trusts with the lowest yields. The decision does not have to be taken immediately but the front runners appear to be Dialight, Diageo, and possibly Reckitt from the shares and Dunedin Smaller, Bankers and recent addition Finsbury Growth & Income from the investment trusts. All are on a current yield under 3.0%. These decisions can wait for a quieter day. In the meantime, the 4th days play is underway at Trent Bridge - Blowers is on commentary, Bell has just made a century. C’mon England - another 50 runs should be enough! Recession or no recession in the developed world, the construction work goes on. Construction and support services provider Carillion seems to be doing OK. It is building an integrated business model that customers like because it means a lot of different tasks can be placed with just one supplier. Although based in the UK, an increasingly significant profit driver for the future is likely to be its activities in the Middle East and Canada. Medium-term objectives for Carillion remain the same - it sees substantial organic growth in UK support services from 2013 onwards and it plans to double international revenues over the next three to five years. The main concerns for me would be two-fold, a rising debt of around £270m (£156m end 2012) and a significant pension deficit. They are hoping the debt level will be reduced by the end of this year. The company appears to be fairly resilient and seems to be holding up reasonably well in a tough market. The half year figures should be confirmed in mid August together with details of the interim dividend. The figure for the current year is 17.25p which gives a current yield of around 6.2% and a cover of 2.2x. I suspect there may not be much more on offer for this current year. Personally, I would not be adding but maybe still a hold so long as I remain confident the debt starts to diminish and the dividend can be increased at a sustainable level. From August, the government have announced that shares in many of the smaller cap companies who trade their shares on the Alternative Investment Market (AIM) will become eligible to be held in a stocks and shares ISA. This should be a boost to small and medium sized companies as they should be able to raise finance to grow their business more easily in the same way that larger companies listed on the FTSE can raise capital. For the investor, it means they have the option to include a wider choice of shares under the tax break of an ISA rather than holding AIM listed shares in a separate trading account. Smaller companies tend to be more volatile than the larger companies and possibly riskier. Some wealthier investors like to hold AIM listed shares as they offer a tax break from IHT when held for two years. These investors will now enjoy further tax breaks on dividends and capital gains within an ISA. I prefer to hold investment trusts Aberforth and Dunedin Smaller for my exposure to this end of the market. Having disposed of Albermarle last year when they entered the payday loans market, the only AIM share I currently hold is Abbey Protection (see write up from March). I have Vimto maker Nichols on my watchlist - should probably have purchased at the time of this write up grrr!